Everybody hates excessively steep streets. Climbing I love, but worrying about falling backward onto my head is a different story. Sure, there’s a sick side in all of us that wants to know what doing the strangest things feels like, but once that’s out of your system you can act like a grown up again. LA as surprising to most is the US Capitol of steep streets. In fact, we hold a quartet of the top ten spots. Fargo, Baxter and Eldred have already been conquered if not claiming mild victories, but our fourth entry has been left off my list. 28th Street is located about 30 miles south of the NE LA triad down in San Pedro. Maybe it’s because of my Valley supremacy, but I haven’t heard much mention about this climb from a cyclist’s perspective. Every few months the street gets mentioned in some “Steepest Street in America” article, but I really thought the best way to describe it was to give it a go myself. Thanks to CicLAvia being down in Papadakis Town, I had the chance to wander a few blocks off course to give it a go. There are two major notes about 28th Street. First, it is ever so slightly less steep than LA’s title holder Eldred. Getting straight to the point, the climb is pretty disappointing. I even over-dramatized the effort because it’s so short. The steep section is almost as long as the width of the street itself. You wouldn’t start Eldred or Fargo from a dead stop, but getting a head start on 28th feels like cheating! Even after the video, I went back a few times to try it even slower to see if the grade would give me the same fear as the others that I was going to fall over backwards (I didn’t). 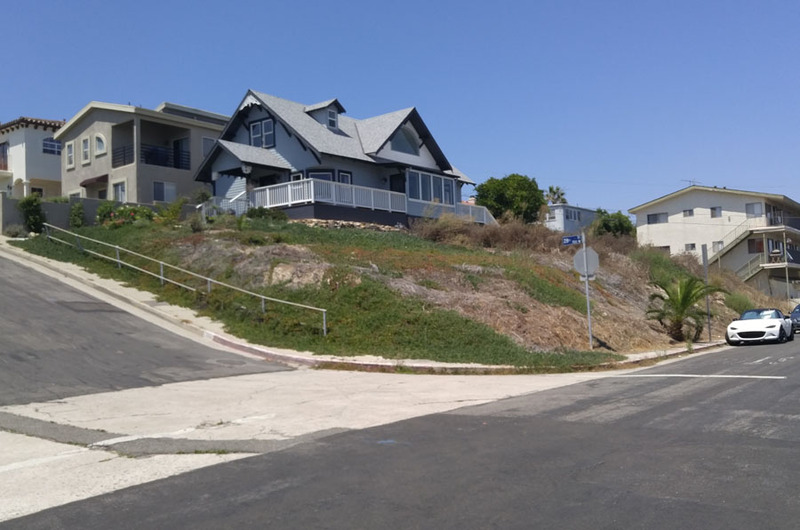 28th Street is so much NOT a challenge, that you really question the methodology of what truly defines a steep street. There’s not even a segment on Strava! Knockoff Cycling Kits getting more Stylish?